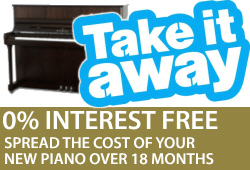 If you are looking for help regarding pianos in the Guildford area Sheargold Pianos can help. We offer friendly advice for beginner pianists in Guildford who don't know where to start. 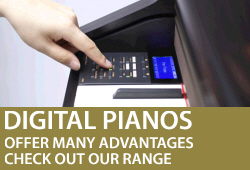 Visit our Surrey based showroom just 10 minutes from Guildford and we will guide you through the range of digital pianos, upright pianos and grand pianos. We will tell you the advantages and disadvantages of buying new pianos over second hand pianos and also can help find a piano teacher in Guildford and surrounding areas. We can organise a piano tuning in Guildford as well as piano removals in Guildford. Perhaps you are moving house in Guildford and need you piano moved. As we move pianos on a daily basis we know exactly how to handle all types of pianos and ensure they are safely moved from one location to another with minimal fuss. 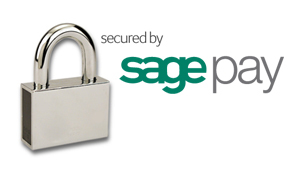 Do you live in Guildford and have a piano you would like to sell? 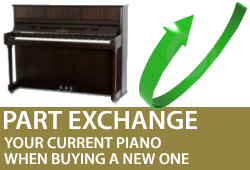 We also buy and sell second hand pianos so if there is an unused piano in the house why not give us a call on 01932 866577 with the details. Our team of piano tuners regularly tune and service pianos in Guildford. If you would like to arrange a piano tuning please call our piano tuning team on 01932 866577.